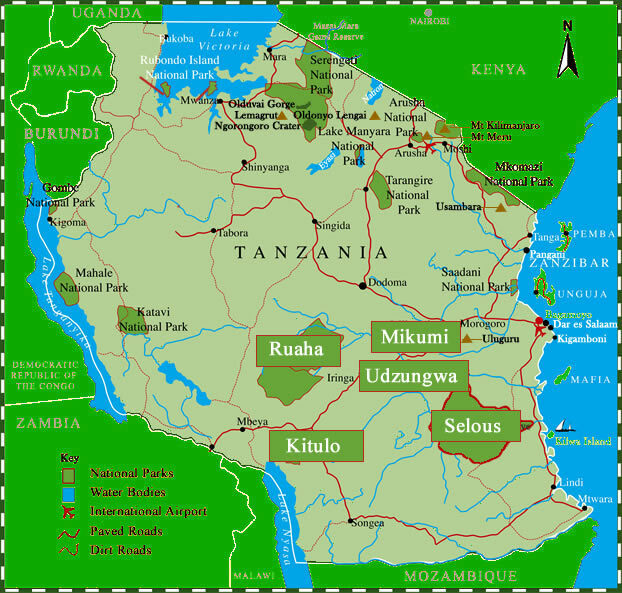 Located in the beautiful Southern Highlands of Tanzania, where the country borders with Zambia and Malawi, perched at around 2,600 meters between the rugged peaks of the Kipengere, Poroto and Livingstone Mountains is the well-watered volcanic soils of Kitulo Plateau which support the largest and most important montane grassland community in Tanzania. The area, heralded as a botanist's paradise, is the largest and probably the most important plateau grassland in East Africa. It is indeed a rare botanical marvel, home to 350 species of vascular plants, including 45 varieties of terrestrial orchid many of which are endemic, which erupt into a riotous wildflower display of breathtaking scale and diversity during the long rains from January through to May. One of the most important watersheds for the Great Ruaha River, Kitulo is well known for its floral significance - not only a multitude of orchids, but also the stunning yellow-orange red-hot poker and a variety of aloes, proteas, geraniums, giant lobelias, lilies and aster daisies, of which more than 30 species are endemic to southern Tanzania. But Kitulo - a botanist and hiker's paradise - is also highly alluring to birdwatchers. Tanzania's only population of the rare Denham's bustard is resident, alongside a breeding colony of the endangered blue swallow and such range-restricted species as mountain marsh widow, Njombe cisticola and Kipengere seedeater. Endemic species of butterfly, chameleon, lizard and frog further enhance the biological wealth of God's Garden.